If you are visiting Memphis, TN, here are five places to visit with your children for interesting field trips. As a homeschool mom and a resident of West Tennessee, I know the best spots for educational day trips in Memphis. I chose these five places because of their appeal to children and their educational value. Whether you require your children to write a field trip report or prefer a laid back day of touring an art museum, you can't go wrong with any of these five Memphis field trip spots. Check out my tips for special notes that will help you decide which field trips are best for you. Mud Island & Mississippi River Museum --official site. Cross a bridge over the Mighty Mississippi River (by foot or by tram) to reach Mud Island. On the island, tour the fascinating Mississippi River museum and learn about the history of the largest river in North America. Then learn about the geography of the river by walking along the three dimensional model of the entire river. Guided tours are free and are full of both history and geography. TIPS: Wear bathing suits and swim in the model Gulf of Mexico at New Orleans. At least wear sandals so you can wade in the model river. This field trip location is a wonderful exposition of the civil rights movement in America. Centering on the history of African American citizens, it brings history to life with full size models of drugstore counters and buses, extensive historical documents, and multimedia presentations. The museum is located at the Lorraine Hotel, the site where Martin Luther King, Jr. was assassinated. TIPS: Due to the mature nature of the topic, I recommend the National Civil Rights Museum for middle schoolers and high schoolers. Children below that age will not understand a whole lot and may not have the emotional maturity to handle the realities of racism. 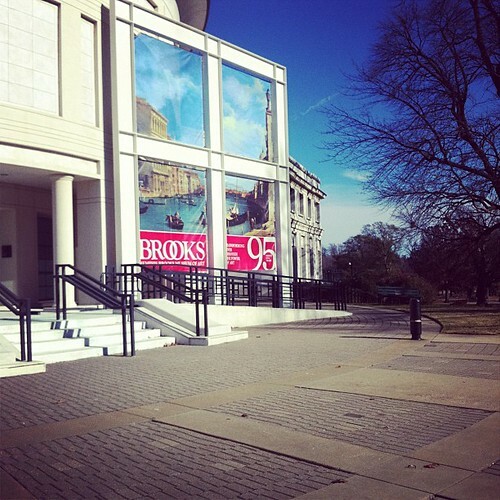 The Brooks Museum is an incredibly family friendly art museum with original pieces from many famous artists: Georgia O'Keeffe, Mary Cassatt, Camille Pissarro, Thomas Gainsborough, and Pierre-Auguste Renoir. It is not huge, so it can be seen in its entirety in just 2-3 hours. TIPS: The Brooks is closed on both Mondays and Tuesdays. But Wednesdays are "pay what you can days." Also, check the website for a coupon for $1 off admission. A zoo is a perfect field trip for all ages from toddlers to high schoolers. Older children can sketch the animals or research for a science report. Younger children can simply run and enjoy the wild creatures. Some favorite spots at the Memphis Zoo are the China exhibit with pandas Ya Ya and Le Le and the Northwest Passage with its swimming polar bears. In the winter, the Memphis Zoo has ice skating. 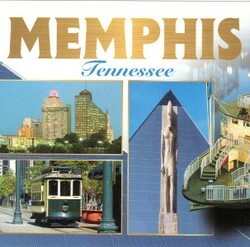 TIPS: Memphis summers are hot! So bring sunscreen and hats if you are visiting in the summer. Zoo admission is free on Tuesdays from 2:00 to closing, but that's not enough time to enjoy the zoo. So unless this is your second day or you really only want a 2-3 hour activity, go ahead and pay for tickets earlier in the day. The Pink Palace is an IMAX theater, a planetarium, and a museum all in one. The museum exhibits center on Memphis history, including a kid friendly Piggly Wiggly grocery store where you can shop and sell. Other exhibits demonstrate the wonders of the human body and the mysteries of dinosaur fossils. Philadelphia is a dream field trip location because of all the American history there. These are my tips for getting the most educational bang out of a trip to Philly. I have always loved the south and look forward to enriching my daughters lives by summer vacations to the south. Now I have a great guide to do so, love your outlook and ideas, very inspiring to both young and old hearts and minds alike. My mother's family is from Tennessee. Rutledge and Morristown TN. I have been wanting to go visit TN for quite some time. You have made me want to go even more now. Great article Jimmie. Congrats on 100 of them. Whewww. I can't imagine that accomplishment. A Trip to the Smoky Mountains offers much to do. The scenery is great, and there are family friendly activities. The Great Smoky Mountains are worth a visit. The scenery is spectacular, and there is ample food and lodging just outside of the park.